A Teens 20s Flapper Girl Costume including a Dress and Headpiece – Ideal for a 1920s theme, Flapper theme, or any fancy dress occasion! 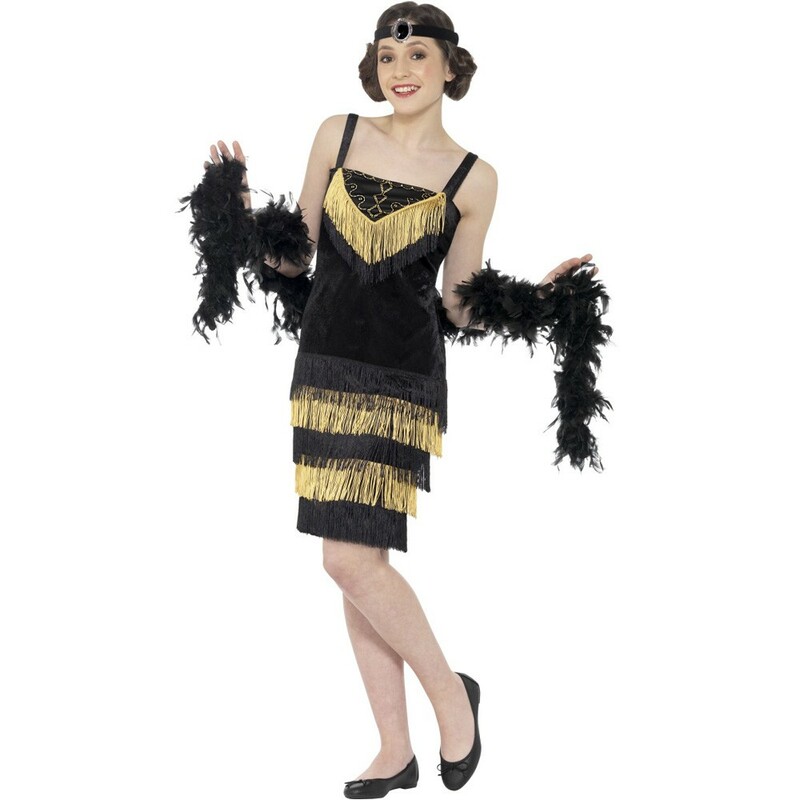 Step straight back into the 1920s with this fantastic Teens 20s Flapper Girl Costume. This Teens 20s Flapper Girl Costume comes complete with a Dress and Headpiece. This knee length Black velvet dress features straps and black and gold fringing for a roaring 20s look. 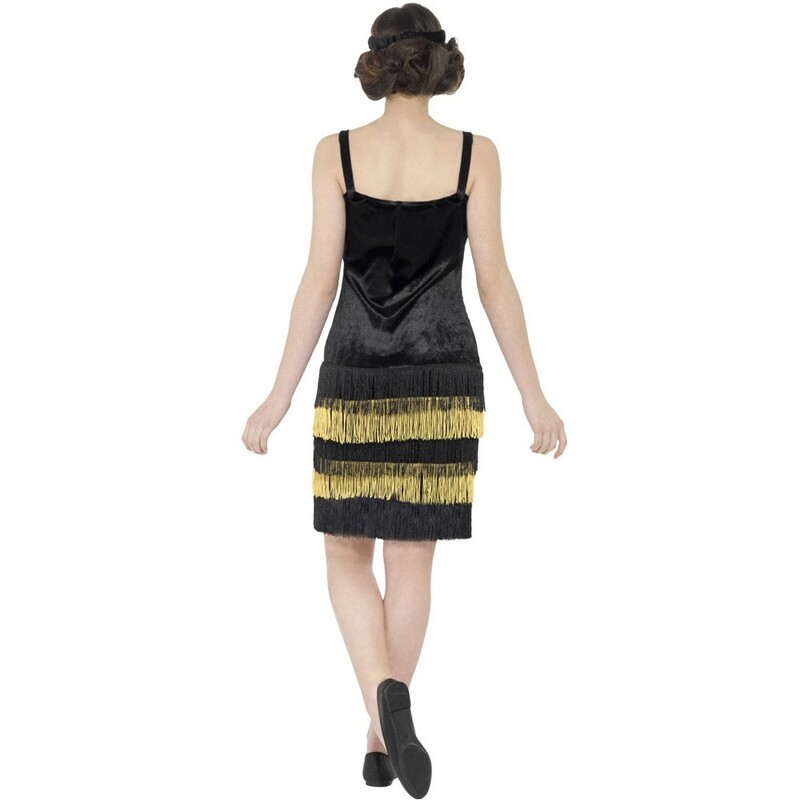 This Teens 20s Flapper Girl Costume is completed by the matching Black and Gold Headpiece for a final touch of glamour. This Teens 20s Flapper Girl Costume is perfect for a 1920s theme, a TV & Film theme, Halloween, or any fancy dress occasion. This Teens 20s Flapper Girl Costume is sure to make you stand out amongst the crowd no matter what the occasion! Available in sizes Teen Extra Small, and Small. A Teens 20s Flapper Girl Costume.